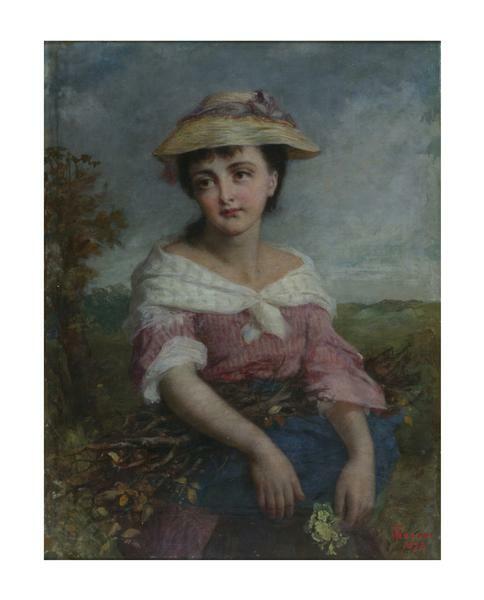 An oil painting depicting a young girl in rural costume, shown three-quarter length, holding a bundle of sticks under her arms. Historical significance: Thomas Frank Heaphy (1813-1873) was the eldest son of the watercolour painter Thomas Heaphy (1775-1835). He exhibited at the Royal Academy, the Society of British Artists and the British Institution from 1831 to 1874, and specialised in portraits and historical and genre pictures. He was elected a Member of the Society of British Artists in 1867. 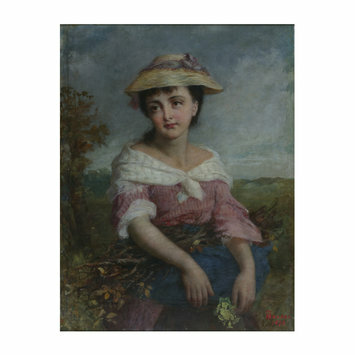 The Little Wood Gatherer shows a pretty, fresh-faced country girl with a bundle of sticks caught up in her apron, as though glimpsed making her way home through the fields after carrying out her errand. She holds in her left hand a little posy of primroses, flowers which perhaps symbolise the spring time of the girl's own life. 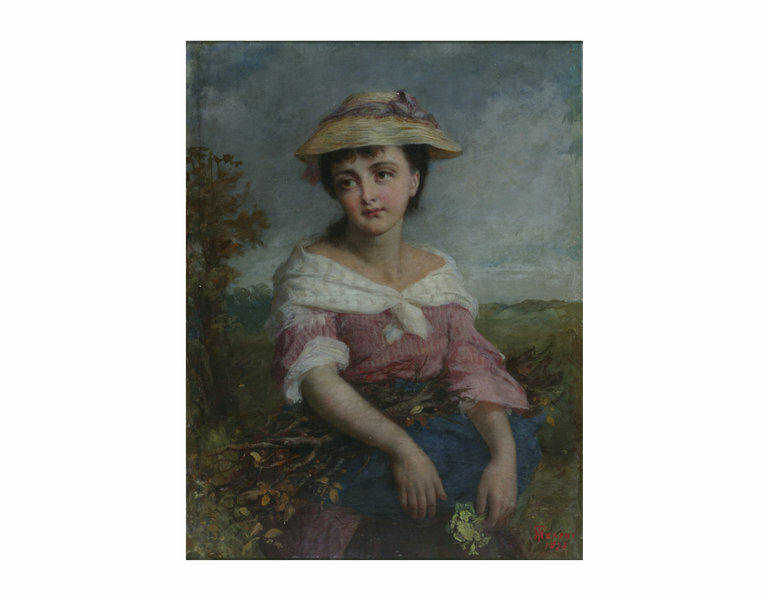 Idyllic country scenes and peasant subjects such as this enjoyed great popularity in the later 19th century. Painted in 1873, The Little Wood Gatherer is among Heaphy's last works. It was given to the Museum in 1890 by his widow, Eliza.